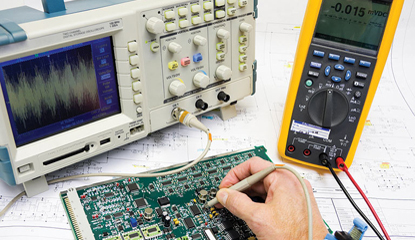 Electronics Technology labs are technical development and prototyping platforms for innovation and invention, providing stimulus for local entrepreneurship and startups. The labs aim to leverage the whole value chain from design to final product. These labs act as a service center that leverages prototyping efforts in local startups and SME's. They sponsor capacity building in electronics design and digital fabrication, support academic design and research projects at universities and research institutions, This is one of the main objectives of the national strategy for developing Electronics Industry; "Egypt Makes Electronics" to foster the electronics industry in Egypt. (1) IoT & Smart Cities development lab which includes electronics components, development kits, and wireless modules (4G-enabled) to boost development of IoT and smart cities applications and embedded systems in several sectors such as (but not limited to) home appliances, transportation, healthcare, surveillance, smart energy, and smart cities. (2) Fab lab, which comprises of off-the-shelf, industrial grade of high resolution subtractive and additive fabrication machines and electronics tools for rapid prototyping of product mockup (metal or plastic), molds, die-casting and even pilot production using different materials. Developing professional engineering workforce with the required expertise and talents. Capacity building by exposing the engineers, students and researchers to the full design and development cycle by the fabrication and testing side of their design. Hence, improve the quality of the electronics systems engineering pool in the region empowered by practical experience. Improve the quality of the soft-IPs provided from the systems and semiconductor companies in the region. Reduce the costs of test-chips, prototypes and low-volume production, hence; reduce idea to market life cycle, which can give an edge to local electronics companies. Leverage entrepreneurs and startups in Electronics systems, IoT and Microelectronics technologies. Attract global MNC's electronics / semiconductor companies to open design centers in the region. Sponsor the fabrication and testing IoT solutions in academic and research institutions in the region. R&D centres of enterprises or universities. Facilitating co-working spaces and development platforms to beneficiaries to build their systems & applications using lab capabilities based on project basis limited by period with competitive cost. The beneficiaries may access lab facilities to implement and test their applications within the lab platforms based on subsidized rental basis. Incubation of promising innovative ideas based VC model; whereas, the lab shall contribute by lab facilities, components, materials, coaching, and prototypes. Capacity building through training programs, hackathons, workshops, and competitions in embedded systems focus on IoT and smart cities applications development in addition developing knowledge of product development life cycle. Open new business opportunities for entrepreneurs and startups by sponsoring events and fairs by making exposure to market for their innovative developed products in IoT & electronics systems. Rapid prototype working capabilities to beneficiaries to implement their prototypes by themselves. Fab Lab academy; it is worldwide educational program and services which provides instruction and supervises investigation of mechanisms, applications, and implications of digital fabrication tools and processes for all ages. Provide services to design houses, startups, enterprises to implement 3D prototype objects or mockups for their new products. Capacity building to enable the students and researchers to transform their ideas or prototypes into market (Productization – Product to Market). Organize series of outreach projects and workshops for the local community, focusing not only on digital fabrication, but also other fields such as bio-engineering, products development, and services with the existing digital fabrication infrastructure. PCB Fabrication single, double sided and multilayer PCB up to 6-layers. Provide BGA and CSP rework services by placement, de-soldering, BGA re-balling with optical inspection system. Capacity building for electronics engineers and technicians in PCB design, fabrication, and assembly of advanced technologies. IoT & Smart Cities Lab Capabilities are here. Fab Lab Capabilities are here.